Very cute set! Love all the colors and goes well in my daughters room. Very well made is holding up nicely even after washes! The Mi Zone Keisha Comforter Set provides a modern look with pops of bright color. This overscaled paisley motif uses shades of fuschia, grey, yellow and blue on the top of bed and sham for a dramatic feel. Made from a polyester peach skin fabrication, this comforter and sham are soft to the touch and have a brushed polyester reverse. One decorative pillow shows off the bright fuschia color as its base while decorative embroidery pops three medallions pulling this entire look together. I just recently purchased this comforter set for my upgraded room at school. I was a little nervous about it being so "cheap" that the set itself would be cheap too but it was worth every penny. It's extremely soft and very warm and looks great when it's all put together, plus the comforter is reversible to a solid purple side which was really nice. I would definitely recommend this set if you're looking for an affordable, comfortable, and stylish bed spread! My daughter just turned 13, and wanted her bedroom colors changed to reflect her more mature, sophisticated, "teenager" taste. After looking in countless stores, we found this beautiful comforter. We absolutely loved the vibrant colors ( true to the photo), soft texture, top quality, no to mention price! I could see her mixing and matching colors with this comforter for years to come! Sorry to be Debbie Downer but I was unhappy with the quality of this product. There is an underlying grey color that darkens the entire comforter that I didn't fully appreciate in the images; the center of the comforter is vibrant and then fades to drab as you move outward. The stuffing of the comforter is thin and overall look is cheap. I also bought the Izod Winward Paisley so I had a similar brand new product to compare; the Izod is much more full, the material seems to be of higher quality and has a very polished, inviting look. This Mi Zone comforter will be going back and I'm searching for a replacement. I had a roof leak and my room had to be redone. So I picked a purple for the paint on the walls. Then I went to Overstock to find bedding to go with this impulsive choice of color. It looks great with the room color, like it was made for it! I always can find great prices on bedding at Overstock! Was just what I was looking for to finish off my Once upon a Time...themed bedroom. Very nice quality,colors are beautiful,ordered 2 full size for 2 twin size beds to have extra pillow shams and the coverage for the sides of the mattress. Everyone who sees the room loves the whimsical feel the comforters bring to the room. LOVE! LOVE !LOVE! This set is very nice and great quality as well. 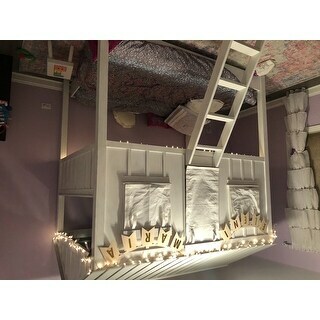 I bought two twin sets for my daughters bedroom. They are easy to wash in a standard size washing machine. They keep their shape and color well through the wash cycle. I recommend this set highly. Very pretty but the comforter and shams are thin. One of the best comforters I bought. This is the softest comforter we have used. I have had it for at least 3 years and have washed many many times. It still feels soft. Very nice set. Recommend. Bought these for my daughters room. Didn't want anything too girly or childish. Colors are the exact same as on my monitor and the sham and pillow were nice. Not a really thick or plush comforter but fine for my needs. Very nice set and washes nicely. Very nice and at a great price! My order came in just a few days and the colors were just like the picture on Overstock, if not more vibrant. It is so soft and my daughter says it keeps her warm on these cold nights. She really loved the pillow that came with it too. All in all, another successful buy with Overstock! Purchased for a model and to match a gray fabric headboard. Very pleased with the contrast of colors, arrived fast and it's soft, I get worried about fabric but this is great quality. I love the color!! It’s just perfect for my daughter’s room. Really disappointed. Colors are much louder than expected. And bedding comes off way cheaper than anticipated. Very light weight, silky printed comforter. Not the colors in pic. This is a really nice comforter set. The colors are as bold as the pattern. I bought this for my daughter’s room as she’s a teenager and wanted something that showed her maturity yet still playful. This struck the perfect chord. This was a gift for my 14 year old daughter. The color is nice and she likes it. However, the fabric isn't the best. There is a hole in the seam two months in. Not a huge deal but it will have to be re sewn. Super cute. Colors are great! Was a gift for my niece and she loves it! Used this in my daughters taupe colored room on her white cottage bed and it the colors popped beautifully - at first I was worried it would be too kiddish for my preteen but she loved it, I also purchased white sheets as well to use. Kiddo loved it made her bid girl room perfect!!! Great quality and very warm. Perfect choice for my tween granddaughter, not to babyish or grownup. The color is somewhere between fuchsia and magenta. The purple accents allow for great accessorizing with pillows and curtains. This is a good purchase for the price. I purchased this comforter for my daughter’s full size bad. And she loves the print. It was definitely a great buy. The quality is pretty good. Beautiful set. Still love it after years of use. Fabric stays bright over washes. "Hi I have a UK kingsize bed. Can you please tell me which size I would need? " An UK King Bed is 60" 78" 30" x 78", same width but slightly shorter than the American Queen size. "What are the colors in the bedding?" Hello Angela W, this lovely set features purple, green, grey, yellow and blue tones. Please feel free to contact us again with any further questions. Thank you for shopping with us! "Hello! One reviewer commented that this is reversible, but we can't find in the details what color or pattern is on the reverse side. One reviewer said it is dark purple but we wanted to get the info from official sources before buying....is there any way we can see a representative color (or at least a good description) of the reverse side? Thanks!" Hello Elizabeth K., it is true the reverse is a solid purple, but it is not our intention to claim it is reversible. This decision was made at a customer's own discretion. We did not market this comforter as reversible. Thank you for shopping with us! "Is a comfortor the cover for the duvet? Is a sham a pillow case? And also is this product suitable for a single"
Hello Morgan, this is a comforter, it is already filled, it is not a cover. The sham is a pillowcase, if you choose the twin option it will fit a single bed. Thanks for shopping with us! "What does this product include? Is there a duvet cover included"
Hello Morgan, this item features reversible comforter, two shams (only one sham in twin/twin XL sets),and decorative pillow. Thank you for shopping with us. Thank you for contacting us, k6texas. Unfortunately, no. Matching window treatments are not available. Please let us know if you have any further questions.